Sometimes you will have some L2 domains (Bridge Domains – BD) in your datacenter that will be used with hardware appliances like F5 NLB or something like an additional firewall, WAF or something similar. 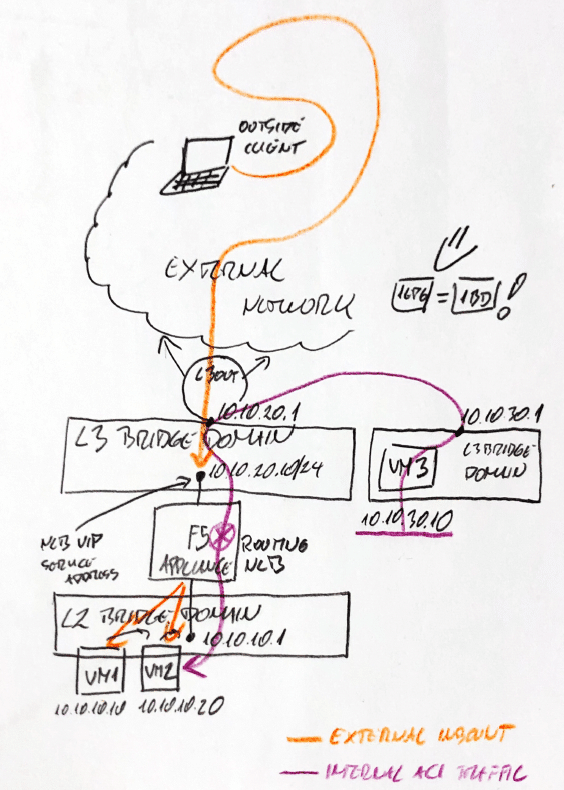 That is the case where ACI will not route or bridge but the only L3 point of exit from that kind of segment would be on actual hardware appliance outside ACI Fabric – connected to the Leaf port. We will take an example here and use it throughout the article where BIG IP F5 NLB is used as an L3 termination of L2 BD 10.10.10.0/24. F5 is directly connected to ACI Leaf and routing from 10.10.10.0/24 subnet (L2 BD) is done directly on F5 device which is default gateway for that subnet endpoints. In those cases for some particular implementations when you decide not to use PBR or Service graphs, it will happen that appliances like our F5 would become L3 termination for some ACI L2 BD like the 10.10.10.0/24 from my beautiful image above. This is an overview of what I think Cisco ACI actually is. It uses some examples from the lab environment to show you how the things look like when you start to work with ACI. There are other articles in the works which will be online soon and which will go in details through the real configuration of ACI and best practices while doing it. 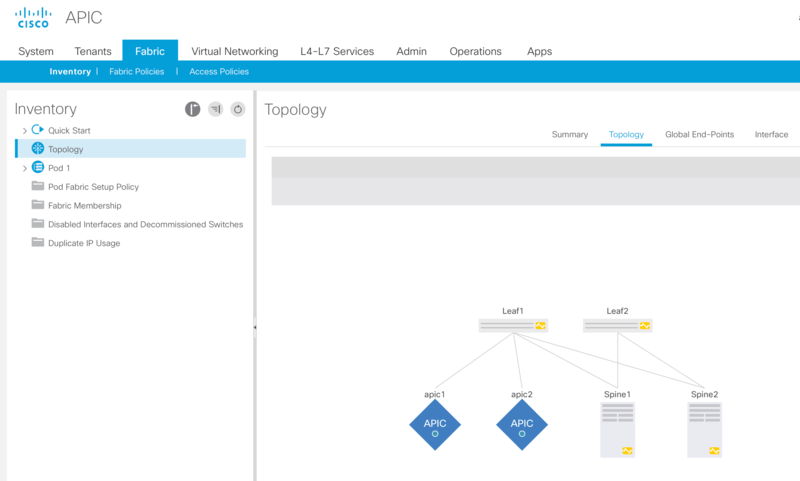 What is this Cisco ACI Fabric? Cisco ACI is a datacenter network Fabric. It actually means that it is a networking system of more networking L3 switches that have a modified, next-generation OS which enables them to be centrally provisioned and configured through APIC controller to work as one device from access port perspective. This has nothing to do with networking in particular! Not if you look from only one perspective. If you look from totally different perspective, with Cisco ACI and all other SDN solutions, you will probably meet with Python programming language (because you will) and then, somewhere in beginning of Python exploration this is the first question that will cross your mind. Of course, if you think like me! For almost every networking geek it will be enough to read through it. After getting the CCIE I found the next thing I wanted to get my hands around. Python. As it seems, Cisco ACI fabric will be the next big thing in Cisco world. Other vendors all have something about SDN to offer these days. Most important part for us, networking engineers, is that they want us to give up the CLI and get us to use Python and REST calls to speak with our network equipment. Python was the logical next step. After first few great lectures on Coursera by Dr.Chuck the question was born!